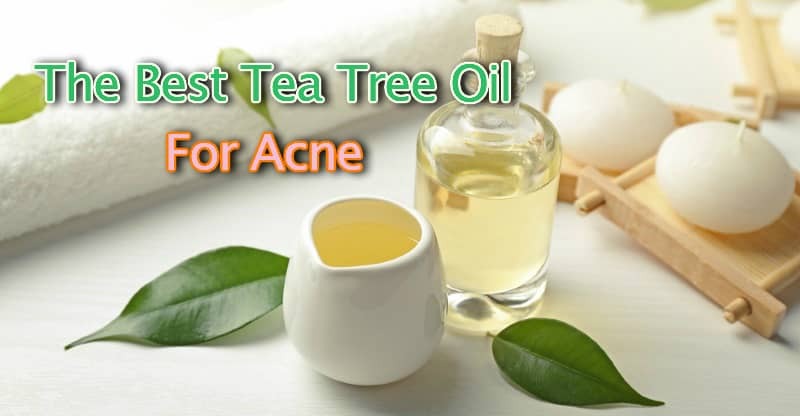 When it comes to acne treatment tea tree oil is a genuine star. There are so many success stories from its use. And a wealth of scientific evidence to back up the claims. So, it’s no surprise that it’s become the go-to natural remedy. You can use it to treat skin conditions like eczema and psoriasis, heal fungal infections, and remove skin tags. In this review, we’ve taken a closer look at the best tea tree oil brand for acne and skin care to find our selection of favorites. And we break down the important criteria to consider when comparing products. You can see the reviews below the buying guide. 1.2 Does It Contain Any Additional Ingredients? 1.4 What Is The % Of Terpinen-4-ol? 1.5 What Is The Packaging Like? These days, there are many tea tree oils available on the market. But, the quality does vary. So, knowing what to look for is important. There are specific criteria that we’ve used to narrow the field down to the best ones. Tea tree oil is available in different concentrations, so make sure to check what you’re buying. Higher concentrations will sometimes need to be diluted more for use on your face and skin. Because not everyone can tolerate undiluted essential oils. It can cause irritation. It’s quite common to find 100% available for sale, but 15% is also frequently available. For further information about diluting it to suit your needs, see our ‘Use Advice’ section below. Does It Contain Any Additional Ingredients? Diluted oils will also contain a carrier oil and sometimes other added ingredients. Such as vitamin E, and chemicals like polysorbate-20. If the product you’re purchasing is not 100% pure and natural, then you should check the ingredients list to make sure you’re happy with what you’re putting on your skin. For our selected oils we prefer to choose 100% pure products. It’s not essential to buy an organic tea tree oil to get its beneficial effects. But, we do consider it desirable. Because this way you can guarantee that no toxic pesticides or chemicals have been used in its production. You see, your skin is going to absorb some of the things you put on it. And you don’t really want it absorbing any leftover chemical residues. Tea tree oil that’s certified organic will usually cost a little bit more. Which reflects its higher quality. What Is The % Of Terpinen-4-ol? For acne treatment, the % of terpinen-4-ol it contains is very important. Because this is the main antiseptic and anti-inflammatory compound in tea tree oil (1, 2). But, you’ll find that this varies a lot between different products. It usually ranges from 30-40%. Although the maximum it can be is 48%. The products at the higher end of this range are generally regarded to be better quality. So it’s best to stick with these. Brands that don’t provide us with a value for terpinen-4-ol upon request don’t make our top-rated list. This is an important concern when considering the shelf-life of the product. Tea tree oil should come in a dark blue or dark amber glass bottle. Plastic bottles degrade easily when used to keep essential oils. And the dark coloring is needed to protect it from sunlight. Bottles containing essential oils should also come with a screw cap rather than a dropper lid. This is because pure essential oils can dissolve rubber over time. For our selection of the best tea tree oils we’ve only chosen products that match the criteria outlined above in our buying guide. 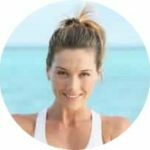 This brand is very well established in the essential oils market and is highly respected for the quality of their products. It’s 100% pure, USDA certified organic, and comes in a 30ml bottle. Each bottle that you buy has been through rigorous GC-MS testing by multiple third-party labs (Gas chromatography/mass spectrometry is the best type of testing in the industry). To avoid the problems that come with using a dropper lid, each bottle has an orifice reducer inside the cap. This allows you to easily use the oil one drop at a time by tipping the bottle upside down with the lid off. It contains a high concentration of terpinen-4-ol at 41.7%. And it’s low in 1,8-cineole at 3%. This is a compound that’s present in all tea tree oil and can cause skin irritation for some people. So it’s good to see it at such a small percentage. This product from Aetos comes in a 30ml dark blue glass bottle. It’s USDA and ECOCERT certified organic, and non-GMO verified. The Melaleuca alternifolica leaves come from Australia and have been steam distilled to produce this 100% pure essential oil. It contains 42% terpinen-4-ol. And only 2% 1,8-cineole. It also has an orifice reducer to dispense drops from the bottle without needing a dropper. This 100% pure tea tree oil comes in a 30ml bottle. Smaller and larger sizes are also available. It’s a Leaping Bunny certified product. Which means that it’s not tested on animals in any way and is suitable for use by vegans. This product by Rocky Mountain comes in a 15ml bottle. It’s USDA certified and 100% pure and natural. The percentage of terpinen-4-ol is 39.6, with 1,8-cineole at 2.4%. It’s third party GC-MS verified. By entering the batch code found on the bottom of your bottle on their website you can get the complete accurate GC-MS results for the oil that you’ve bought. Some people like to spot treat their acne using it undiluted straight from the bottle. And this is okay if your skin can handle it. But, many people find that it’s a good idea to dilute it first. Particularly if you’ve never used it before. And especially if you will be spreading it over large areas of your face. It’s best to use a carrier oil, such as avocado oil, grapeseed or jojoba oil to mix it with. Because it will not be properly soluble in water. However, you can use water. Just make sure to mix it well before use. The usual recommendation when using essential oils for the first time is to dilute it to 2%. But, scientific studies involving 5% solutions have returned very good results for treating acne (3). It’s probably a good idea to try it at 2% the first time and then work up to a 5% solution for regular use. The ideal way to do this is to get a small measuring cylinder and add 2ml to 98 ml of a carrier. A more imprecise method would be to use 1 tablespoon of the carrier (15ml) with 6 drops of tea tree oil. You can apply the mixture to your face using your fingers, a brush, or a cotton ball. Another way of using it is to add a couple of drops to your moisturizer each night after you cleanse. When diluted appropriately it works great for sensitive, oily skin, and dry skin with no irritation. Use it after you wash your face to kill the harmful bacteria in your skin pores and prevent acne breakouts. This is an amazing topical remedy for people with acne and pimples. There’s significant scientific evidence to support its use and prove its healing properties. The benefits include antibacterial activity and the ability to soothe inflammation. Which helps to treat acne. It’s a good alternative to prescription chemical medications like benzoyl peroxide. Because it has comparable effectiveness without as many side effects when used on the skin. Use it as a daily treatment after cleansing to keep your skin clean and complexion clear. Our top-rated choice is Plant Therapy.